Why is it that when you make a special trip just to buy a zipper, I mean a 90 minute round trip, that when you get home it’s the wrong colour? How did I confuse navy blue with sky blue? What’s the go with this? As is customary at this time of year I look back over the last 12 months and am amazed yet again at how quickly 12 months can fly. Yet I wouldn’t have anticipated this time a year ago even half of what occurred during 2013. It does make me wonder what’s ahead in the next 12 months. One thing that I hadn’t planned or even thought about was the creation of this blog; go figure! But this is my catalyst to keep me going on my sewing journey. For so many years I barely touched my machine and now I can’t find enough time to plan, cut and sew. 2013 had some low points but surpassing those we had 2 wonderful high points with the arrival of two new grand daughters. We are so blessed to have such a beautiful family and all near by. So what’s on the radar for 2014?? Well there’s always some kilos to loose (but that’s another story) and lots of sewing to be done. Now that I have all my Christmas sewing completed, delivered and worn, I’m going to do some for myself over the next few weeks; I have this plan of not buying any pre-made clothing this year; let’s see how that goes!! 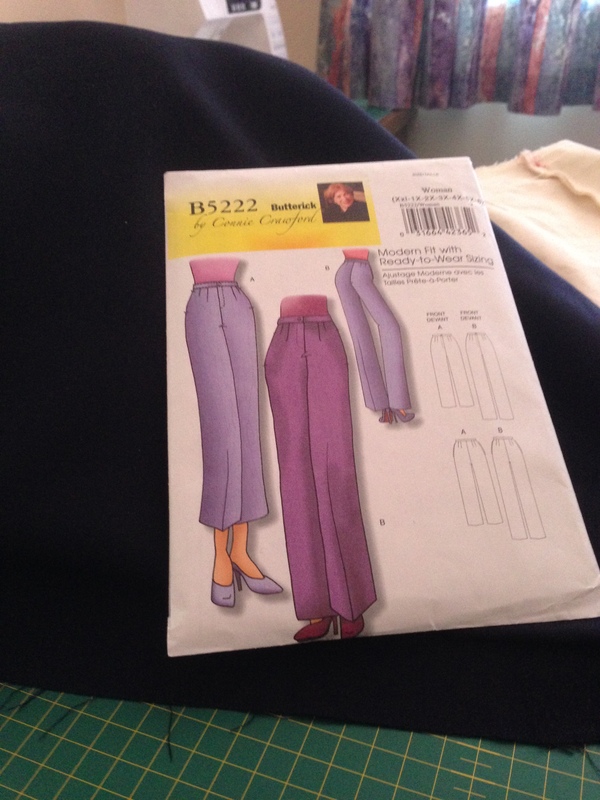 The first item that I’m working on is what has been described on some forums as a well-fitted pants pattern regardless of your size or shape – it’s Butterick B5222 by Connie Crawford. I finished with my muslin sample yesterday and am now going to cut into some of my precious Tessuti stash with a beautiful navy poly-viscose that I bought in Melbourne a few months ago. 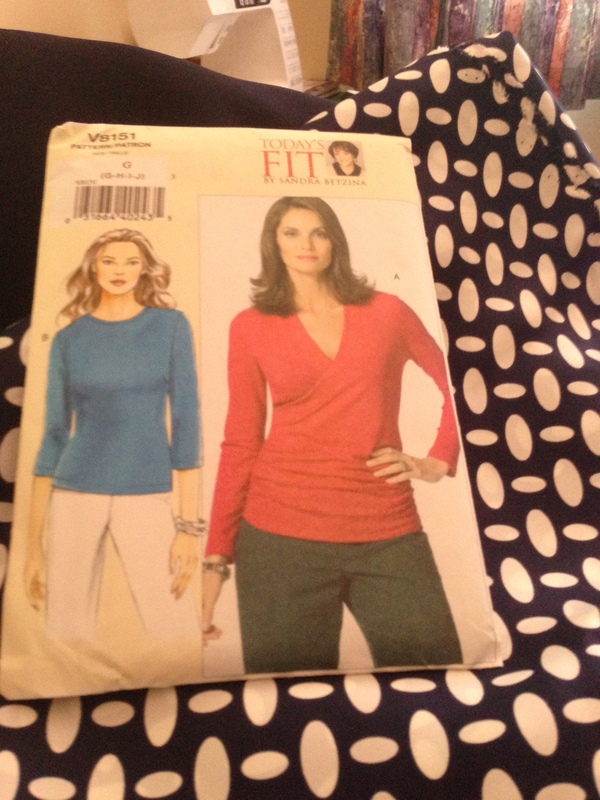 Once that is done I have a beautiful Italian silk that I also bought at the same time to go with the pants. I have been saving a few different pieces for awhile, a bit nervous to cut them because of my rusty skills. So a few muslin samples will be the order of the day I think. 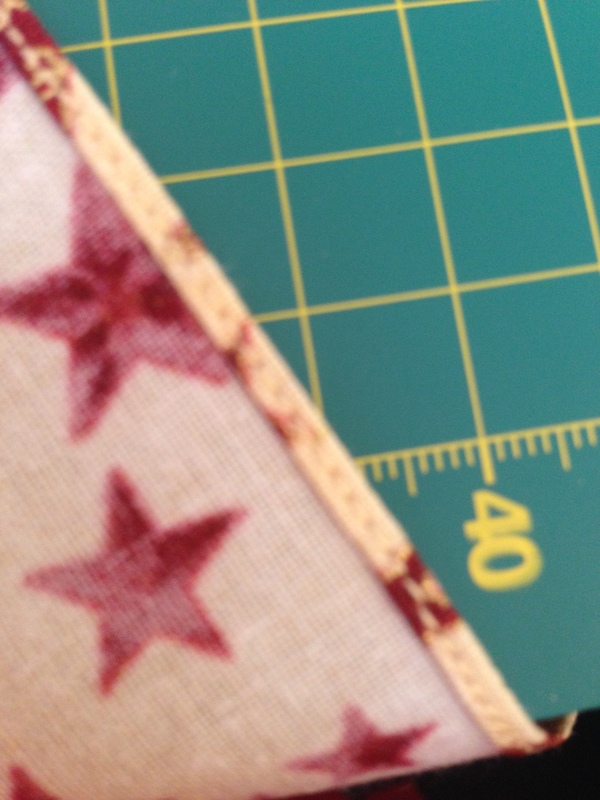 All the best for 2014 and happy sewing! Christmas wishes to you all, may your day be filled with love and joy and filled with squeals of delight! And if you can’t be with the ones you love, love the ones you’re with. Well it was a wonderful weekend, very busy but I enjoyed every minute of it. Hubby and I both collapsed into bed that night exhausted. The Xmas dresses went down a treat and looked very cute on the 5 little girls, the oldest three enjoyed having dresses the same! I also got the pillow cases completed to go with the quilts I made for the twins back for their birthday. The weather was wonderful and it was a very pleasant day. So nice to see the grandchildren getting on and playing together so well. The laughter of children is one of the best sounds in the world. So a few more days at work before I take a well-earned break for the following 11 days. I think it’s time I did some sewing for myself as I do have a drawer full of lovely fabric from Tessuti that I’d love to make up…. Yummy! You may recall that I mentioned how keen I was to do more shirring. 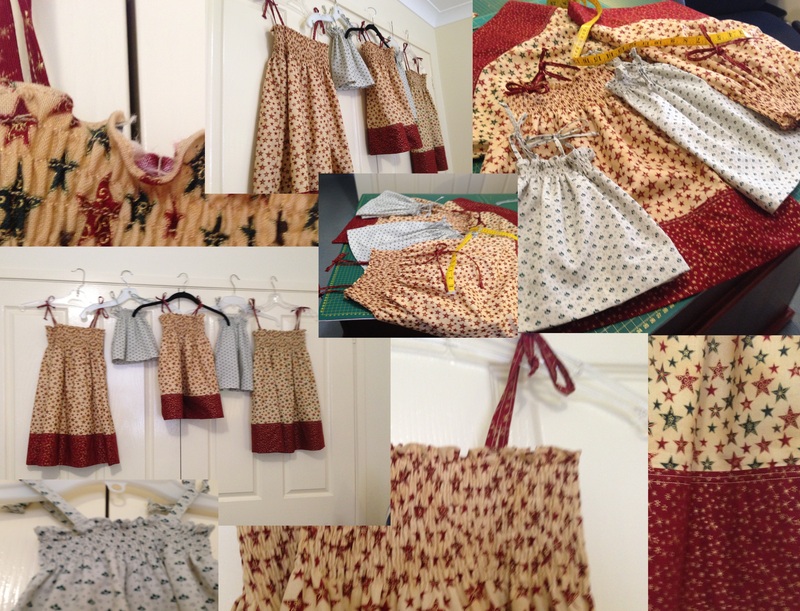 Well I’ve now finished the 5 shirred Xmas dresses and am very happy with the results. Of all the tutorials I came across during my research for this project I found the one on Jorth’s blog was the best for working out volumes of fabric and basic construction. I must say some of the others were very confusing for such a simple dress. So if you want to make one yourself visit her blog :- http://jorth.blogspot.com.au/2010/11/shirred-dress-tutorial.html. I must confess I did make some modifications of my own. I decided to French seam all the seams for a nice neat finish and to add extra strength. 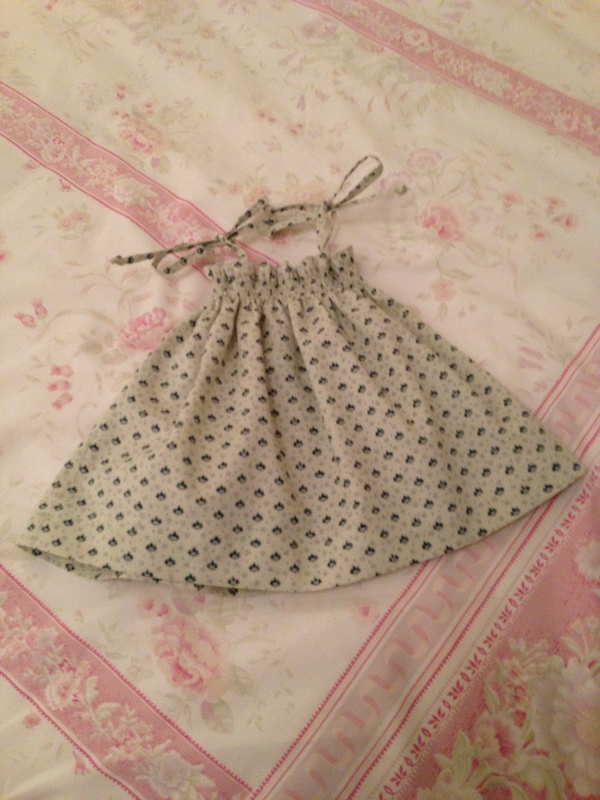 I also did away with the elastic casing across the top above the shirring; I don’t think it needed it and I replaced that with my super tiny hem instead; you can see my test one on my previous post. I also decided to do bow ties over the shoulder instead of a single piece and I made a border around the bottom of the 3 bigger dresses; that was a result of underestimating how much fabric I would need rather than a brilliant idea! 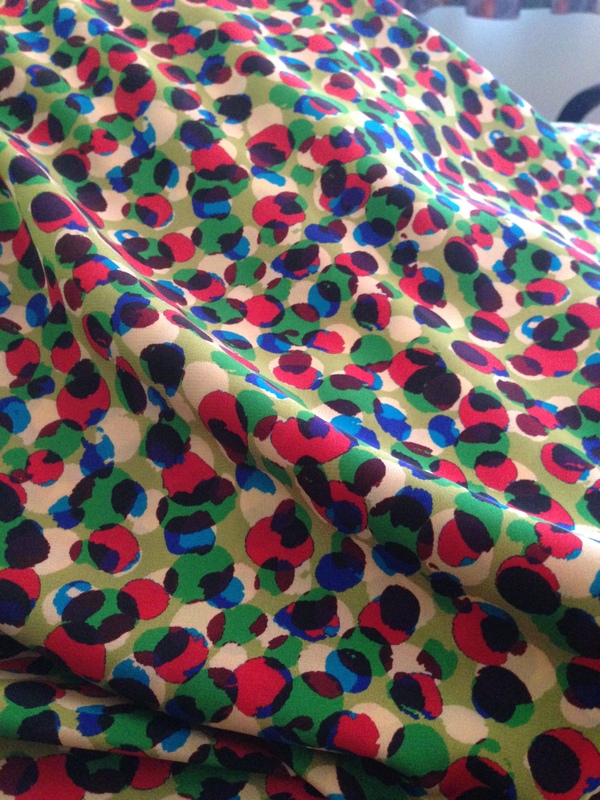 (I do have a habit of buying fabric before patterns and then trying to squeeze it all in). All in all I’m very happy with the results. Still think that tiny hem is exquisite. I do hope they all like them; I know I do 🙂 So onto the next thing. I did some practising with my narrow hem foot today; first time I’ve used it. How neat is this? I think I’m in love!! I’m feeling pretty chuffed: a 2mm hem!! Truly!! It’s been quite handy today as I worked on more Xmas dresses. I’ve now finished numbers 3 & 4. 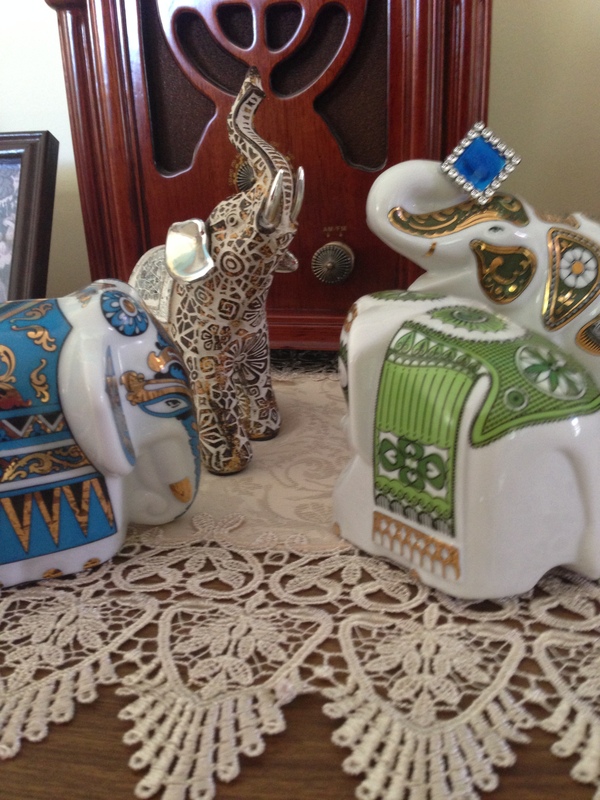 The Elephants are up to Mischief Again! When I’m not sewing I do enjoy visits from my grand children. But sometimes they leave things being after their visits; I’m sure this happens with other grand parents as well! 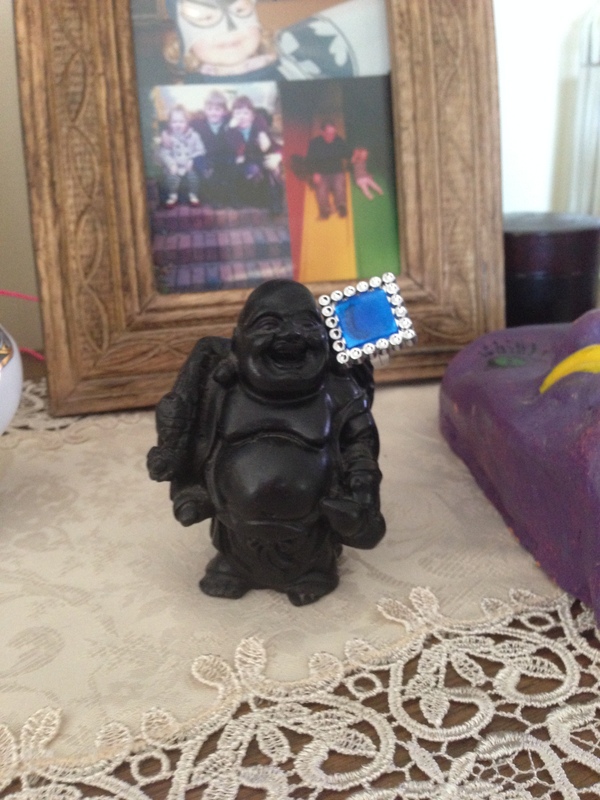 Recently one of my grand daughters left behind her precious ring. 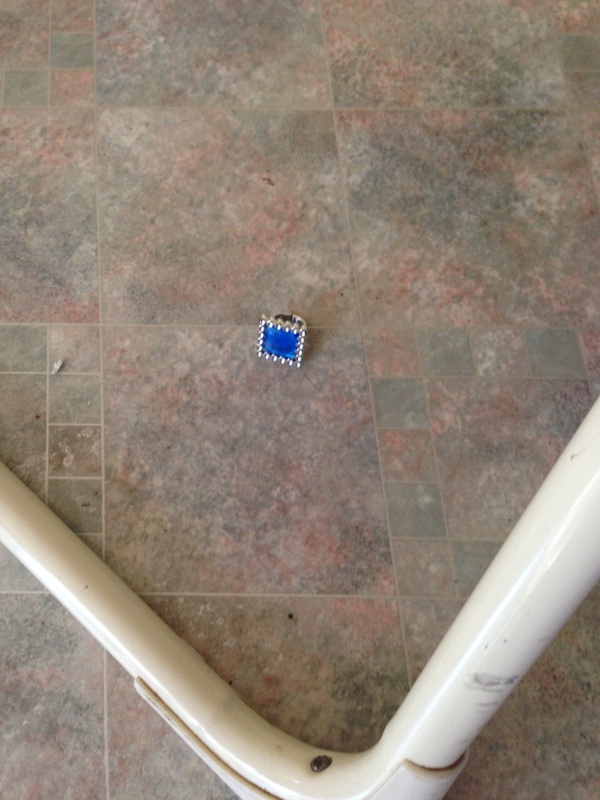 It was left under a chair after she left. The sparkly elephant found it and thought it looked really good on his trunk, nice to add some colour to his other sparkles, he thought. 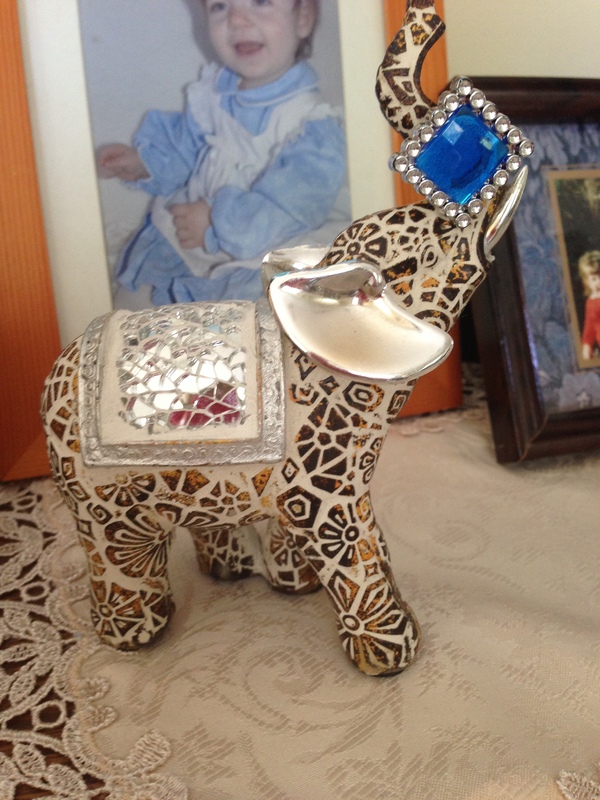 But the other elephants liked the ring as well and wanted to wear it too. Ok I have now finished the 3 rompers and the 3 Eva dresses. Each of the little girls like them and I’m happy with the results. The problem with making things as a surprise is that you don’t get to try on before you finish. While the dresses fit very well, I’ve noticed that the girls need to stand very straight with arms pointing over their heads to get them on; it’s a bit tight in the shoulders. Once on they are fine. It’s going to be interesting to see how I can adjust to cater for this. Oh well journeys always have some bumps! The one thing I really enjoyed with the Eva dresses was the shirring on the pockets; first time I shirred and am wanting to do more! I did the first one yesterday for one of the baby girls (6 weeks old), so very tiny and very cute. I don’t know about you but there is just not enough time in the day. So many plans, so little time! And then I read an article today about minimalism and it got me thinking. Our lives become so complicated and we put too much pressure on ourselves to achieve: be the best wife, mum, employee let alone person. I too easily work long hours and then wonder why I’m tired each night when I get home and just drop in front of the TV and then into bed. Sound familiar? And what’s it all for? Things? And usually things we just don’t need or could be held onto a little longer before replacing. Last weekend I noticed that it was not the things that brought me joy. Watching my grandson play soccer, having dinner with my son and his family, enjoying each other’s company, watching the joy on my granddaughter’s face when blowing out her birthday candles and then the sparkle in a baby’s eyes when you pick her up and cuddle her. This is what makes life a joy! Admittedly we need to work and pay our bills but we need to be able to balance…. Life’s too short. Anyway a quiet night tonight and an early one. So tomorrow I’ll work hard but then leave at a reasonable time. And who knows I might just get stuck into my next sewing project 🙂 I have some beautiful Christmas fabric that will making some lovely little outfits for the girls!!! !